A brightly colored bouquet of flowers add a touch of sweetness to this wedding program. 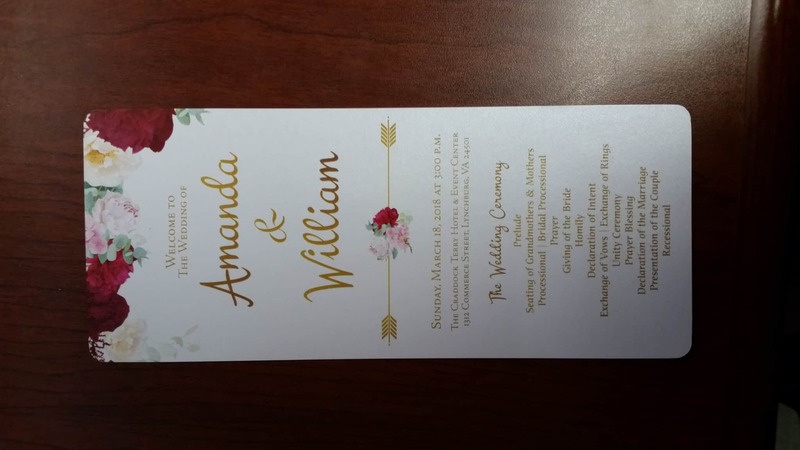 Wedding programs can ordered as fans for a small fee. 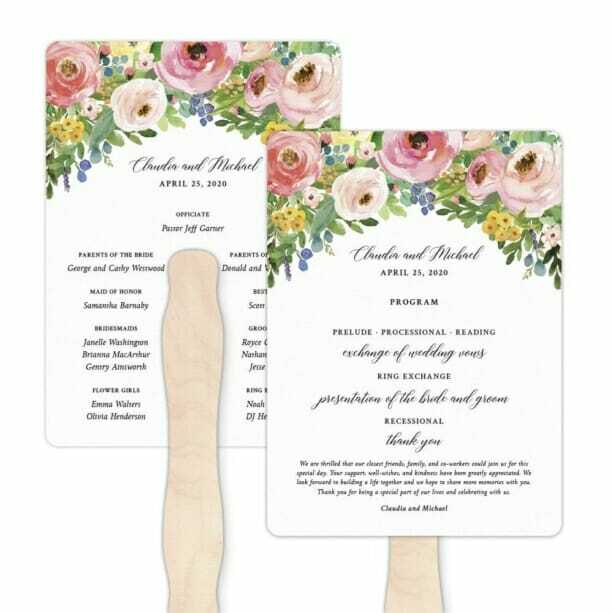 Fan style programs include a wood stick adhered to the back that is approximately 8″ long. The exact placement of the stick may vary, depending on the design. Extremely pleased customer.I actually had a custom order printed. It was last minute, and the staff at New and Blue quickly worked with me on the custom order and made sure I had it in hand in plenty of time for my tight deadline. The quality is exceptional.